A review of Jeanette Winterson’s Oranges Are Not the Only Fruit (Pandora Press, 1985). 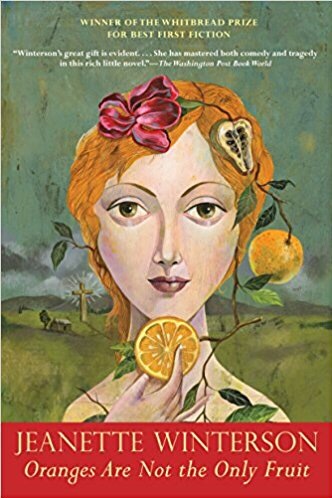 In Oranges are Not the Only Fruit, Jeanette Winterson creates a complicated tale of intersecting narratives, mixing elements of fairy tale, legend, and biblical verse into autobiographic elements from her own life. As much as this is a tale about Winterson’s own upbringing in a Pentecostal evangelical household and discovery of her lesbian identity, it is also a narrative about the way that our lives are shaped by stories. Autobiography and fiction interweave in a conversation that at times is contradictory, but always revelatory. Winterson’s abrupt switches to fairy tale narrative in the middle of scenes of her own life shape the intrusive and yet complementary power of stories to inform us and shape our lives. She reveals the way that her own tale has been shaped by stories, largely those from her mother, who begins by telling her that she is special and has a significant role in the world to shape the lives and beliefs of others, and those of her church, which tells her that she needs to sell religion to others the same way as one would sell a used car, and later tells her that her attraction to women comes from demonic possession. Narratives from evangelical voices seek to shape who she is to become, trying to mould her and her identity into the narratives they want to tell. WInterson acknowledges this narrative influence through her focus on their stories about her life, weaving them into her autobiographical elements, but also by titling her chapters after the books of the Christian Bible, frequently paralleling her life narrative with the biblical titles. She begins with Genesis, telling her own origins and early memories, moves on to Exodus and her experience of seeing the world differently once she is able to attend school, and continues through Leviticus, Numbers, Dueteronomy, Joshua, Judges, and concluding with Ruth. Yet, throughout the autobiographic elements of her tale, up pop fairy tales to open new insights into her experiences, converting them from biography (an individual experience) into fairy tale (an archetypal quality defined by its relateability). Tales provide moments of insight, intruding like a spell into her life with the words “Once upon a time…”. 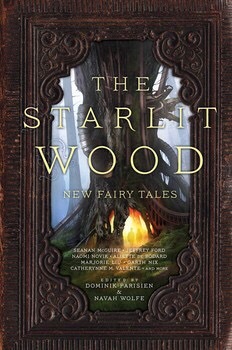 Her tales vary, telling stories of princesses who learn from old hunchbacks the secrets of magic, but frequently don’t end in the typical fairy tale ending and instead resolve themselves in princesses living simple lives away from the complications of royalty and the expectations and controls that come with being special. These tales help to elucidate Winterson’s own exploration of selfhood and the narrative of exclusion and exultation that was applied to her early in her life. Fairy tales occur at transformative moments in her narrative, offering counterpoints to a singular narrative and pointing out the polyphony in any story. 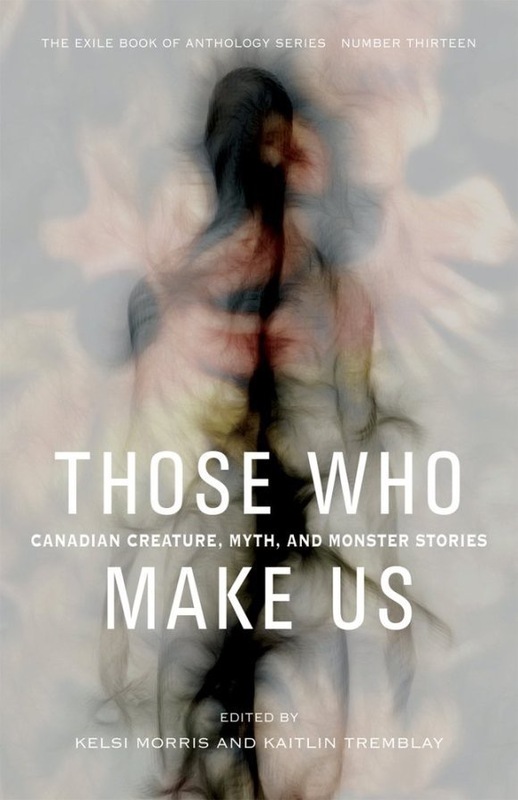 Rather than creating a sense of the heroic and transcendent, these tales evoke the power of resisting the sense of being special. The complexity of fiction storytelling works as a counterpoint to Winterson’s mother’s simple binarisms of good/evil introducing the idea that story presents a complicated morality, that one needs the context of story to explore moral systems that can’t be easily dualistic. She uses fairy tales to disrupt ideas of a singular perfection, situating a prince’s search for the perfect, flawless bride into a philosophical discourse about whether perfection and flawlessness are mutually dependent. Winterston complicates the assumed easy divide between fairy tale and real life, illustrating that our real lives are made up of tales told by us and about us. She complicates ideas of history, pointing out that history is also constructed as a truth narrative, but is changeable, shifting, and uncertain. She invites questions about her own life through Oranges Are Not The Only Fruit, pointing out the narratological slipperiness of our lives and the shifting, unstable, and transformative aspects of identity. Like the fairy tales she includes in her narrative, life itself is able to contain a spark of transformative magic and the stories we tell ourselves about who we are constantly move and change. Winterson resists calling her book autobiography, listing it as fiction despite its close parallel to the events of her life to disrupt the easy binarism and duality of truth/fiction, real/fairy tale, history/story. Her personal narrative has already been shaped by simple dualities that others have tried to impose on her, attempting to fit her into simple boxes of saint/sinner, saviour/demon, good/evil, inside/outside of the church she grew up in. Hansel and Gretel is a tale that entwines poverty and childhood and its popularity for revision illustrates the endurance of the narrative of child poverty. In “Even the Crumbs Were Delicious”, Daryl Gregory tells a tale of homeless, abused, and rejected children who are in search of food… but more importantly, they seek an escape that can be provided by the candy house… especially this kind of candy. The best send-off that Tindal could think of for Rolfe was to take Rolfe’s drug printer and print drugs over the entire inside of his apartment, but Tindal didn’t expect that he would find those walls of drugs being consumed by street kids. As the random cocktail of drugs pumps through the veins of a boy and a girl, they begin to shift into a familiar tale, seeing Tindal as a witch who has captured them through magic, and perhaps he does weave a form of magic over them (in addition to the magic of drugs), because they undergo transformations in perception around their circumstances. But, Tindal also undergoes transformations, both in the drug-addled eyes of the children and in his own perception of himself and his place in the world. Tindal, in trying to do what every adult does – return children to their parents, but, through that process he discovers that childhood can be far more painful and far more challenging than he can imagine.